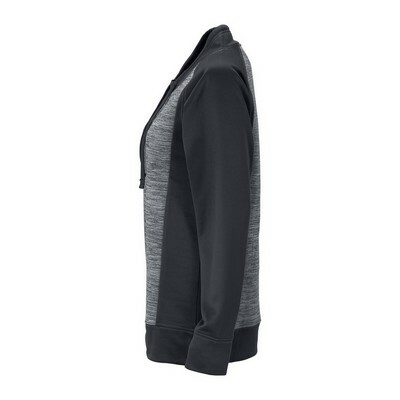 The personalized logo Women’s Vansport Spacedye Blocked Pullover features a tagless label. 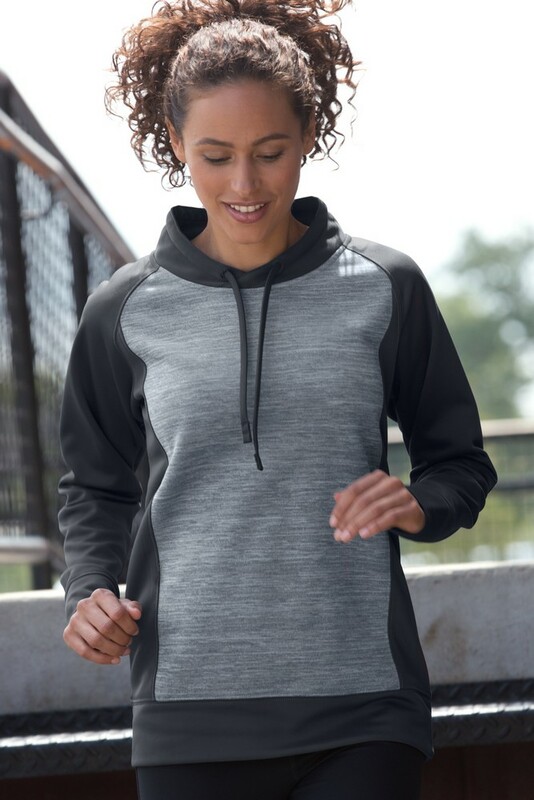 A good fit, an elegant design, a long length, and thumbholes to keep sleeves in place are some of the details our designers have put in place to make the Women’s Vansport Space dye Blocked Pullover a must-have item in your wardrobe. 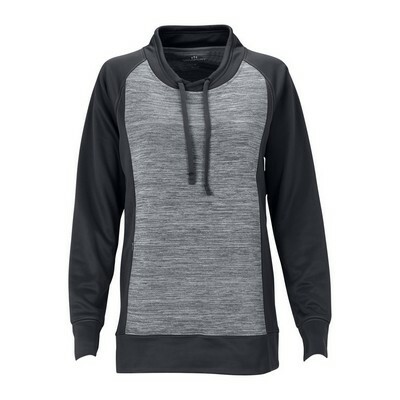 The space dye front and back panel, the right side hidden on-seam pocket and the tagless label add its good looks, comfort, and coziness. 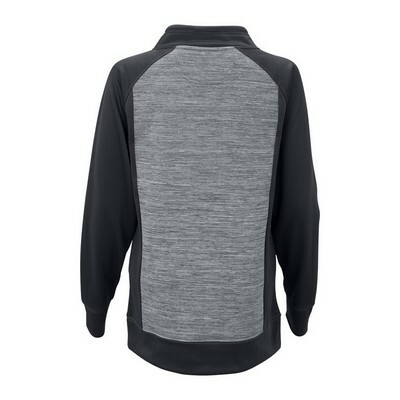 Imprint you company’s logo on the grey space dye with dark grey blocking using decoration techniques including embroidery, laser etching, laser appliqué, screen printing or heat transfer, and sequin embroidery to effectively promote your brand among women. Promotion Pros is one of the best places to find custom embroidered apparel online, so stop your search today. Our embroidered and screen printed logos look fantastic and wear even better. Place an order today and discover for yourself the magic of your entire group wearing beautiful, quality promotional gear custom-made just for you!